verb (used without object), overachieved, overachieving. 1. to perform, especially academically, above the potential indicated by tests of one’s mental ability or aptitude. 2. to perform better or achieve more than expected, especially by others. Do you sometimes try to overachieve? I have to make sure on a day-to-day basis that I’m not swallowed by my personal, sometimes pet-like, green and snarling stress-monster, because I naturally tend to want to overachieve – to do, if possible, EVERYTHING perfectly. Getting a little bit older and more reflected, looking back at the younger me, I have discovered that I have always had this urging tendency to want to overachieve. At best in everything. My personality tricks me to not only achieve tasks, but to overachieve them by far. Baking a cake for someone? Do your best to bake their new all-time favourite cake! Having guests for dinner? Try to buy an entire grocery store to make sure no one is hungry afterwards – and please make it three courses, and of course make everything yourself! Getting visitors who will spend the night? Try to make the house so clean that you should all lay down and lick the floors when the guests are arriving. Holding a lecture on an interesting topic? You better stay in the library from they open until they’re closing the entire week before to make absolutely sure what you are saying about the topic is not just correct – it is also the most interesting facts on the topic existing on this planet. Getting ready to translate a book?! You’d better read every published book on structure beforehand – to make sure that the English version is not just a fantastisc translation, it is also a very solid piece of work, adjusted to every principle on earth about great story development, so that it won’t be all too embarrasing when people finally read it! And yup, that’s what crazy perfection looks like. It’s addictive, really. Don’t try it. Needless to say I also overachieved in school, especially in my favourite subjects Norwegian, English and German. In English class we were once asked to write an essay about Hamlet, perhaps discussing if the same plot would be possible in other cultures. I rewrote a short version of the entire play, making Hamlet a Native American, spending hours on research since I myself am not American in any way. Having to write about uninteresting football players in a German exam? I wrote a ten verse poem about them in addition to the essay. Even working as a social educator, I would work loads of overtime every week, just to make sure that every conduct-disorded youth I met who needed help in any way would get it as soon as possible (or hopefully even sooner than possible). As I worked as a social educator I also strived to write every report that I ever had to write about the clients in flawless bureaucratic German (SO hard, since I’m not German!). If I don’t stop myself, or my body stops me (as it has done several times), I tend to want to overachieve.I’ve tended to give tasks all or nothing, and I would rather give it all. To me being relaxed is something that doesn’t come naturally. I practice it daily: To let things be, to do things at an average good-enough level, and be not only fine but happy with it. I practice this relaxed attitude for instance through doing yoga. A huge help letting go of perfectionism has been Acceptance in all it’s forms. Accepting myself, accepting where I am right now – but also accepting my ability to learn. Accepting others the way they are, accepting situations, accepting that I’m not in control, accepting that making mistakes is not a bad thing – it is a natural element of learning, and that’s okay! Everything is gonna be okay and I’m gonna be the most true version of myself. I accept the unknown and let it excite me. To me, life is about becoming more and more ourselves, the people we truly are inside. There’s no need to try to be perfect. In a way, in just being ourselves, we already are. I tried writing in a rather forced and “perfect” way when I wrote my first three novels. With an extreme discipline I put extreme amounts of work and effort into them, yet all of them are to this day still unpublished. When it comes to writing, it seems like (shockingly) overachieving is not the most important skill – if it is even possible! You see, I read a lot about what publishers want. I perfected the standard writing skills in order to reach (or, better yet, surpass) the level I understood to be expected by publishers. Yet it turned out that a good language and obvious plots are not enough to get a book printed (unless you are really famous beforehand, smiling). Publishers undoubtedly expect something beyond what they openly state. How on earth will I get published if I already tried overachieving the publishers’ “requirements” and that clearly wasn’t “good enough”? I immediately fell in love with the quote! It’s not enough just to write according to the “perfect” structure. Much more importantly, we need to take risks, to find new ways, try out new topics. Take chances that scare you a little. Write about something real. Real emotions. Real hearts. Real tears. Real bravery. Write because it makes you happy, be brave, try out scary things, be an artist, break some rules, let the scary muse show the way, trust your heart and your instincts. That’s what I’m trying to do now. I take risks. I try to be loving to myself and listen more to my heart than to my inner judge. I’ve stopped taking the safe routes and using “easy plots”, stopped using “typical” heroes and villains, and stopped writing stories that are clearly just me daydreaming. Instead, I want to create interesting characters and get to know them so well that in the end the characters show me how the story needs to be – instead of the other way around. I don’t need to force my stories through; I don’t need to try to “overachieve” anything. Writing a good story is so much more than that. It’s different. Now I want to discover the universes that are waiting for me, bit by bit. I want to find the stories that are already burning inside of me and I want to let the stories tell their tales when the time is right. I will detect fascinating characters that are already there, I will explore them, and I will let them amaze me. And yes, taking these risks, writing a book in a (to me) completely new way, breaking the “rules” – if there are any, it scares me a little. Not being able to be “perfect”, scares me even more. And that’s the key for me to stop being addicted to perfectionism. To accept that I’m scared, to accept that I’m not in control, but to admit that I love writing, to allow myself to make mistakes and laugh at it, to embrace writing anyway. You want to know the first sentence of “The Hidden People”? It’s big! Ready? If you have any great tips on how to relax, please let me know. In one of the native american tribes they don’t say “I love you”, in stedad they say “I know you”! ❤ Agnete, I know you! ❤ And I believe in you! And I believe in this project and this story, that it will be the best one you've ever written so far! Merete! ❤ I know you, too! 😀 And keep writing!! Your children's books are gonna be magical! Ohhh I love this post. I can so relate, having a perfectionist past that still haunts me to date. These days my biggest problem is not finding the energy to stop my perfectionist tendencies (which now is easy) but rather to recognise them because usually they disguise as automatic thoughts under other irrelevant thoughts. Yeah, that’s hard. Getting there, one thought at a time. The way I managed to satiate my thirst for perfectionist was to accept that absolute perfection is not real and then focus on relative perfection, which is the best I can do withing the context of time and knowledge and experience. Gradually I built sensing for boundaries to stop when what I was doing could not be improved further and changing it would yield something equal to what I had already. Also I can relate to doing when scared. I don’t think there is any other way to face the fear. Love that first sentence, gripping and awesome. Love what you said: “Getting there, one thought at a time”. Great method, the only way to go, really. 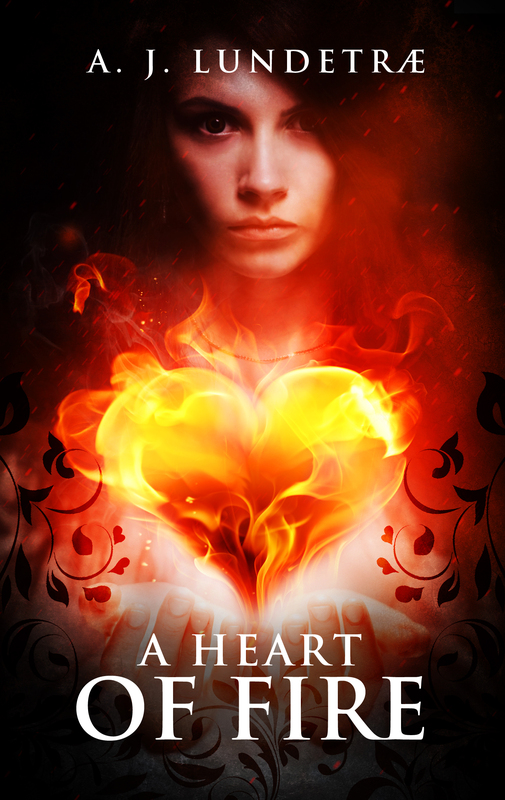 So many changes I have made to “A heart of fire” in the past were unnecessary, sigh! Wish I would have stopped chasing perfectionism sooner. But, better now than later! Hey, don’t worry about what could have been. It is what it is. It happened when it needed to happen, which is now. Maybe now you are ready. Maybe now you have absorbed the lessons. Maybe now you feel is the time to change. Regardless of the reason, now is the perfect moment. I am certain that as you translate and edit you’ll make the book even better. The past is the past and it’s never too late to change ways and start new things. So smile because you are doing amazing. Just what I needed to hear! ❤ Thank you!!! I hope and believe you are right! What you wrote resonates strongly with my core beliefs,a great reminder, which is why I have to say that the same goes for you! Now is the perfect moment! ❤ Very grateful for your encouragement and wisdom!